This week on the Escentual blog I take a look at the newly arrived Mark Buxton collection. Those of you who are familiar with Buxton’s work will now that he is a perfumer of great standing, having created fragrances for brands such as Comme des Garçons, Van Cleef & Arpels and Salvador Dali. The five perfumes in his collection are intriguing to say the least, with some being quite un-Buxton-esque in their style. So, please click on the image above to head over to Escentual and read my take on Sexual Healing, Sleeping With Ghosts, Wood & Absinth, Devil in Disguise and Black Angel – oh and don’t forget to leave your thoughts in the comments box whilst you are there! 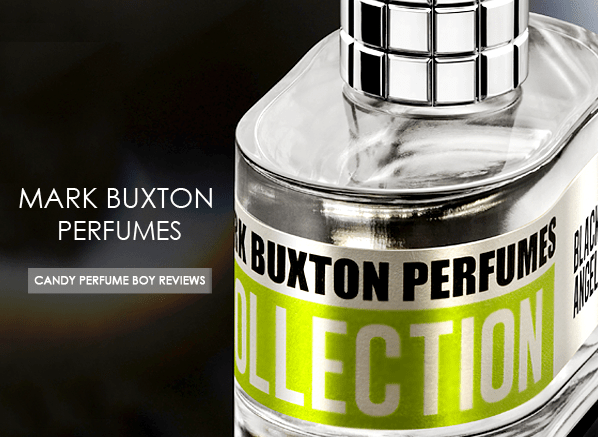 Posted in Escentual, Mark Buxton Perfumes, Perfume Reviews and tagged Escentual, Mark Buxton, Mark Buxton Perfumes, Perfume Review. Bookmark the permalink.